Carmel, Ind.-based Blue & Co. LLC (FY13 net revenue of $65.5 million) announced the appointment of Brad Shaw as managing director of the firm. Shaw’s experience includes more than 27 years serving the firm’s health care clients and two years managing the health care audit practice of a national firm in Chicago. Shaw was chairman of Blue’s executive committee for the past four years and director-in-charge of the Columbus, Ohio, office since it opened in 1999. Prior to joining the firm’s executive committee, he was chairman of the firm’s audit, accounting and quality control committee. 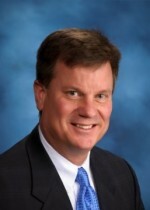 His specific expertise in the health care arena includes financial reporting, reimbursement and strategic consulting. As managing director, Shaw’s top priorities will be strategic direction for the firm, partner accountability, talent acquisition and mergers and acquisitions oversight. He will continue to work closely with the firm’s executive committee along with the entire director group.